It’s no secret that customer service jobs are often associated with negativity. Dealing with customer complaints, negative feedback and frustration on a day-to-day basis can be a pretty stressful experience. You’ve probably heard that negativity tends to spread like wildfire. Once you let negative thoughts come into your mind, they attract more negative situations, triggering a vicious circle of bad feelings and outcomes. There seems to be no end to it at some point… Have you ever been there, too? Negativity can infect you like a disease and affect not only your overall job performance but also life outside work, as well as lives of other people around you. The good news is that it can be cured, and you can also prevent this from happening again. Let’s take a closer look at the power of positive thinking and why to apply the approach to your work, shall we? 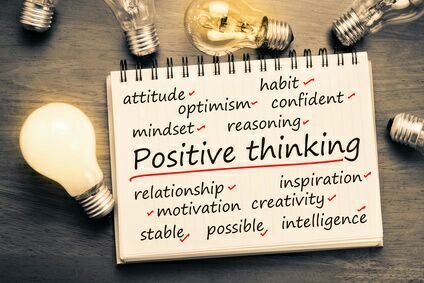 Positive Thinking or Positive Mental Attitude is an optimistic approach initially introduced by Napoleon Hill in his book “Think and Grow Rich” that was originally published in 1937. It embraces the importance of positive thinking as a principle to success. The philosophy holds that having an upbeat frame of mind in every situation in one’s life attracts positive changes and increases opportunities, regardless of the circumstances. It opposes negativity and hopelessness, and interprets situations and events as being best. While working in customer service, it is important to develop and maintain a positive mental attitude in order to respond effectively to challenges related to the job duties and not to fall into the trap of never-ending negativity. Working through positive reinforcement isn’t merely the right thing to do for your career; it also improves your overall mood, energy, and physical well-being. While the advice to think and respond more positively may sound too broad and simplistic, not something most people want to hear, the right state of mind does have high impact on outcomes. Here are five major reasons to change your perspective and take it more seriously in your day-to-day work life. When your job is to be there for customers, occasionally irritable, frustrated, or annoyed, it is so easy to get sucked into the vortex of negativity and end up blaming and hating your job. It might seem that you don’t have control over other people and can’t change difficult customers, but in fact, you can do something. You have the power to create a positive thought process. You can take time to analyze and adjust your behavior, understand and master your emotions, and focus on what can be done, not on what can’t be done. At least that way, there is less space for frustration and despair. Research reveals that constant stress and pressure negatively affect decisions, plunging our reactions into the fight-or-flight mode. The mechanism sidesteps rational thinking in favor of a faster response to ensure survival. Alas, more often than not, in customer service the fastest response to a stressful situation is by no means the best one. It takes refined self-awareness to harness your energy to perform the hard work of meeting challenges and achieving goals. Once you realize it, you will find it easier to come up with more options and move towards better solutions. While working in a team, each member contributes to the work climate. Whether these are positive or negative vibrations, everyone is bound to grasp that ‘something in the air’ and get attuned to the team performance. The more you ruminate on gossips, negative thoughts, grumbling and rumbling, the more toxic your environment is, affecting each and every member of the team. Luckily, the opposite holds true as well. All it takes is to focus on the bright side and don’t let negativity bring your whole team down. Instead, smile, and the world will smile with you! Clearly, any customer interaction is a two-way street. If at least one of the parties is determined to keep calm and stay positive, no matter what, the chances of the positive outcome spring up. When a customer service representative exudes calm and strength, the customer tends to mirror the message, reacting appropriately to the tone of the conversation. In other words, your positive awareness helps the customer feel better about the situation and possibly feel more positive about you. “People don’t buy things for logical reasons, they buy for emotional reasons”. Effective customer communication promotes positive outcomes and creates emotional connections that last and give customers reasons to come back once and again. When company representatives continuously inspire positive emotions like surprise, gratitude and happiness in their customers, the latter are willing to spend more with the company and recommend its products to others. It’s as simple as that – people enjoy working with, buying from and getting around positive people. In other words, the right attitude is everything, isn’t it? Do you practice positive thinking? Do you believe that it can help gain better results in life and at work? If you have an inspiring story to share, please leave a comment below. And as always, thank you for reading our blog! This entry was posted in Articles and tagged positive approach for CS, positive thinking in CS. Bookmark the permalink. I’ve always made it a point to smile as I approach a client’s office and pick up the phone. It’s amazing how quickly your mood brightens. I’m fascinated by human behaviour on all fronts from biases to preferences. Recently I saw a list of biases posted by the VP of SLACK. Really made me think. Keeping a positive outlook can get us through bad times. Counter our blessing because we can always see other people that has more problems than us. Try to understand our clients and customers feeling and try to help them to the best of our knowledge. All ways think positive and give more help to other people. Helping other helps us to a better person. Regardless of our position in an organization, we all have internal and/or external customers. I have been on both sides of the fence as a customer and as the face of organizations interacting with customers. I have found that a Positive Mental Attitude is an effective mindset to gain rapport, trust, good will and loyalty over time. This is not a one time or some time mindset but an all the time mindset. When internalized and put into practice in a genuine approach all of the time, customers will take notice and come back because we listen, made a sincere effort to connect and hopefully delivered a resolution that the customer finds acceptable or exceeded their expectation. Thank you, Julie Lewis, on a sharing five great reasons for The Power of Positive Thinking in Customer Service.